In a somewhat-unexpected-yet-not-entirely-surprising turn of events, Apple announced to developers today that in-app purchases are available to free applications. At WWDC this year, Scott Forstall defended restricting In App Purchases to paid applications (costing a minimum of 99¢). 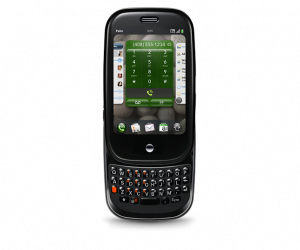 …to keep it simple, when a consumer sees a free application, free apps remain free. You won’t be asked ever to buy something inside that free application. Because of that, developers who wanted to offer free, feature-limited lite versions of their applications had to publish it and the full version as separate apps, and some previously-free apps, including the hugely-successful Tap Tap Revenge, gained 99¢ price tags to support add-ons unlocked through In App Purchase. All that’s missing now are paid updates. The Beginning of a New Era, or the End of a Dynasty? As we all know, people cannot live forever. While many of us thought Steve Jobs might defy the odds of humanity, it seems he may soon be resigning from his position as CEO of Apple, Inc. Due to this troubling news (me being one that hoped he would live forever), many questions have arisen, two of the most prominent being who will take over Apple, and will the company survive or fall in to another “dark age,” possibly one that ends in the demise of Apple? 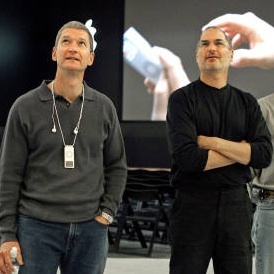 The first major question is, who will run Apple once Steve Jobs retires. It would seem that the front-runner for Jobs’ job is Apple’s own Chief Operating Officer Tim Cook. He was in charge of Apple’s day-to-day operations while Jobs was on medical leave for his pancreatic cancer treatment. He has done a fine job I running the company even in the middle of a recession. But is he capable? As the money shows, yes. On the day Jobs left, Apple stocks closed at $85.33. As of this morning, Apple opened at $132.07. While at the helm, Cook has seen the settlement of a lawsuit from IBM over Mark Papermaster, the release of a new iPod Shuffle, and the one Billionth app-store download. Apple has also reported its best non-holiday quarter bringing in $8.2 Billion in March. Maybe pancreatic cancer was just a minor flaw in Steve Jobs’ master plan to rule the world and live forever. But incase it wasn’t, we have to look into the future to see what looks best for Apple. Will we see the beginning of a new era in technology CEO’s, or will we see the demise of our beloved computer dynasty? Only time will tell. 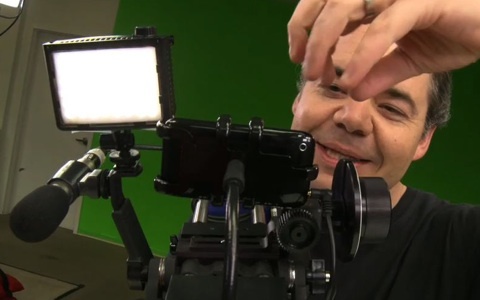 The resulting rig is total overkill, and the mic and follow focus don’t work — the latter because the iPhone isn’t capable of changing its focus while in the middle of a recording, and the former (hopefully) because they don’t have a proper adapter for the Beachtek box. The resulting video quality? Surprisingly good! A light and some extra support can do wonders. 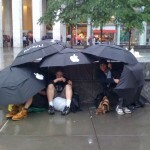 This is our 3GS liveblog, straight from the plaza outside the Apple Store at Fifth Avenue. Keep it bookmarked and we’ll keep you up to date. 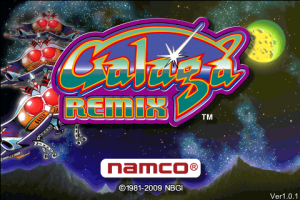 If you’re viewing this from the homepage, you’re only seeing our latest update! Hit the jump for more. 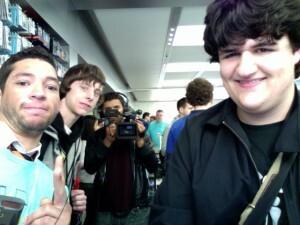 We’ve purchased and activated an iPhone 3GS in-store thanks to the friendly help of a 5th Avenue Apple Store employee. Needless to say, we’re ridiculously tired. There are still plenty of stories to tell, but this liveblog is officially over. Stay tuned. Well, the weather outside may be brutal, but so far me and the rest of the iLife crew have managed to hang in there. While we’ve braved the elements, a few people have come up to ask us a few questions, including Engadget, CNN, Reuters, the New York Times, and Bloomberg. I’ll be posting links to their coverage of the iPhone 3GS launch, and well, us! UPDATE: 6:30 PM EDT: Reuters: IPhone to hit stores as Apple awaits Jobs’ return Matt Dodd was quoted on the second page of the article, and our plans for camping out were mentioned. UPDATE: 7:30 PM EDT: The following is a listing of posts and articals after we got home. Take a look! 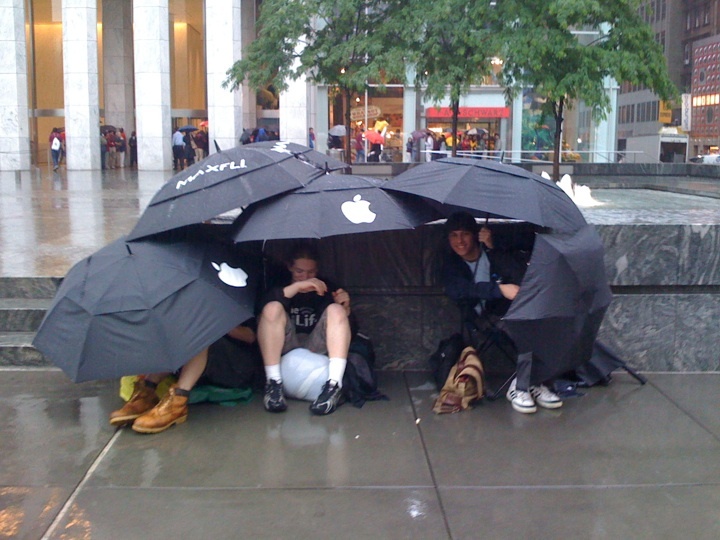 Gizmodo: Why In Hell Are People Camping Out For the iPhone 3GS? If this is your first time at The iLife, Welcome! 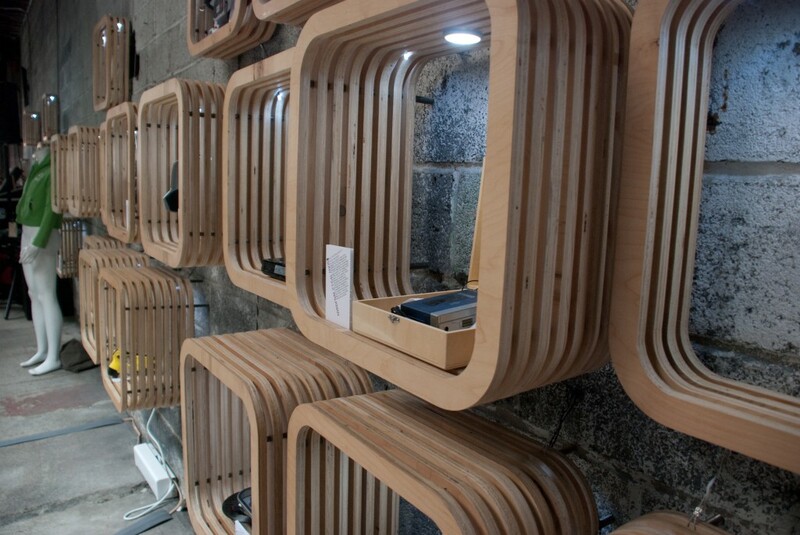 Be sure to subscribe to our RSS Feed, so that you always get the latest, in-depth tech news! I just had to head for work (gotta make money to buy the 3GS), but the scene in front of the store as I left was worthy of a picture. I got completely soaked in the half hour I was there, even with all those umbrellas, so, guys, I wish you luck. Matt Dodd, Sam Epstein, myself, and Keith Hobin are set up here at the Apple Store at 5th Avenue in New York! The staff has already come out to greet us and supply us with official Apple umbrellas (which we are absolutely going to need). We’ll be posting updates throughout the day here and on Twitter (@theilife) and the folks at TheDigitalLifestyle.tv are planning to set us up with live streaming later today, so keep an eye on their feed. If you’re in the area, stop by. If not, drop us a Tweet or a comment. Happy 3GS day to all!